After more than a dozen years of covering news at newspapers all over hell’s half acre in B.C. before finally making it to the big leagues — the Vancouver Sun, the Globe & Mail and, now, the Calgary Herald — I have just taken over as the new full-time, permanent food writer for the Herald. In my time as a news reporter, I’ve written about the birth of a baby beluga, health care, education, dinosaurs in Tumbler Ridge, BC, the deaths of three women killed by men they once loved even after reporting their safety concerns to RCMP. I’ve spoken with ministers and a minor celebrity or two. I’ve sat through heartbreaking testimony and watched people break down in courtrooms. I’ve cried with the family members of homicide victims. I’ve loved it and hated it, been moved by stories and frustrated by them too. And now I’m trading covering crime and calamity for cake, the seedy underbelly of the city for pork belly and so on. It is, no doubt, a dream job and I’m excited. But it wasn’t without some sadness that I left the great team of city reporters. (OK, yes, I basically just moved my stuff about 20 feet from my old desk and I’m still sitting right next to my city peeps, but it’s a whole different world.) 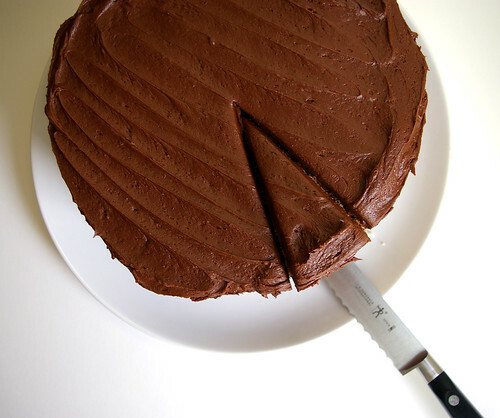 Most of all, I miss the camaraderie of so-called Civilized Sundays when I’d bring in baking, like red velvet cake, which we would eat while listening to the police scanner. It’s not so much that I miss working Sundays (because I think I could really get used to this Monday-Friday thing), it’s the ritual of it all. So, of course, on my last city shift, I had to bring in a cake! 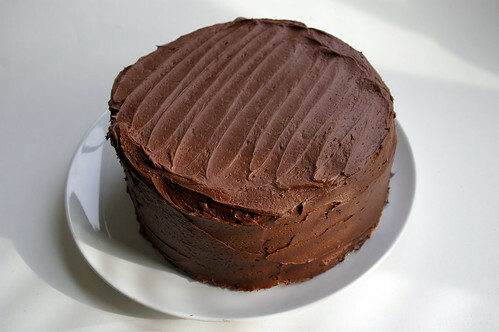 I did a really informal twitter poll and people voted for a vanilla cake with chocolate frosting. So, I found a recipe for both and got to work a few weekends ago. 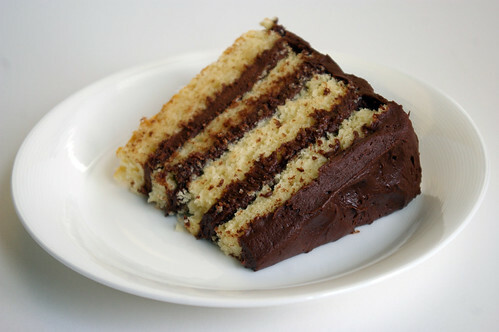 And, once it was baked, I thought it would be even better to slice the cake layers in half, double the icing and go for a quadruple-layer cake. For the most part that went well, barring some uneven slicing that led to some repair work to one of the layers. I hoped for the best cutting into it that I would bypass where things had gone sideways, but luck isn’t usually on my side. And it wasn’t this time around. So the beauty shot of the slice isn’t as good as it could be. (No doubt also because I didn’t let it cool down after putting on the icing, which would have made for a cleaner cut. But I was impatient (as usual) and just wanted to try a piece of the damn thing. Barring that one piece, I gave half to some friends who just had a baby and took the rest in to work. Yes, we ate it for breakfast. And that made it perfect. The cake recipe comes from Rock Recipes (though I have no idea how I stumbled on it originally), while the icing is from Joy of Baking. Though both were fantastic, I wish I had tried something a little less overwhelming with the cake, like a lemon or basic buttercream. I have a feeling the chocolate icing overpowered the extremely vanilla cake instead of letting them better each other together. Both are fantastic, though, and well worth trying on their own. Sift together flours, baking powder and salt. Cream the butter and sugar until fluffy and pale. Add, one at a time, the eggs, beating well after each to make sure they are fully incorporated. Beat in vanilla. Gently fold in the dry ingredients, alternating with the evaporated milk, in three parts, starting and ending with the dry ingredients. Divide batter evenly between 2 well greased 9-inch cake pans. (I also put parchment circles on the bottom to ensure a good release.) Bake in oven for about 35 to 40 minutes or until an inserted toothpick comes out clean. Let cake rest in pans for 5 minutes before turning out onto a wire rack to cool completely. 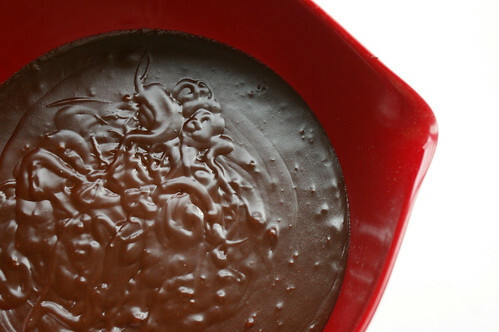 In a stainless steel bowl placed over a saucepan of simmering water, put the chopped chocolate, cocoa, milk, and butter. Stir until the chocolate has melted and the mixture is smooth. Remove from heat and beat in, with a hand mixer or wire whisk, the confectioners sugar and vanilla extract. 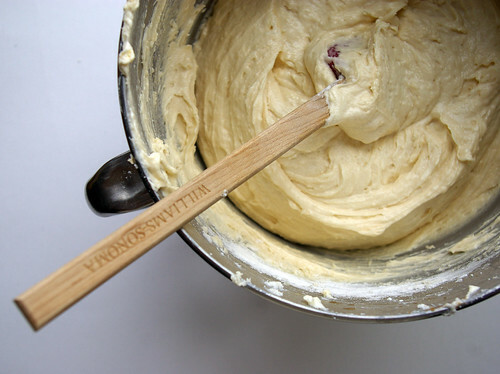 If the frosting is lumpy, strain through a strainer to remove any lumps. 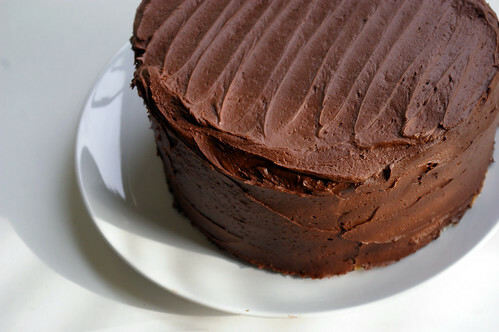 Cover and place the frosting in the refrigerator until it is firm (this may take a few hours). 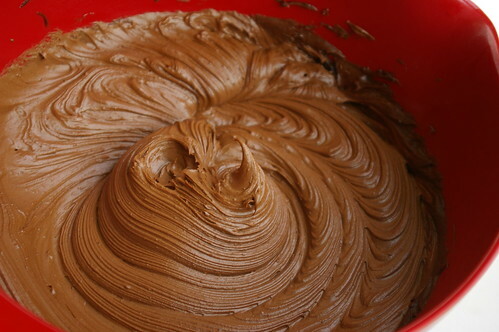 Once the frosting is firm remove from refrigerator and place in your mixing bowl. Beat the frosting for a minute or two or until it is nice and smooth and of spreading consistency. Yay you! and yay cake! I’m so happy for you! and what a lovely cake… do I have anything to celebrate? Hmmmmmm…. amazing cake, even more amazing news! congratulations on both accounts. congratulations again on your new job! will i be able to read your food articles on the herald website? Very much missing civilized Sundays, as much for the camaraderie and banter as the food. I can attest that the cake was fantastic! Enjoy your new writing gig. I’m looking forward to reading all about your new food adventures. Congratulations on the position. I hope to hear some inside scoops and more in-depth reflections on this blog. Congratulations on the new job! I’ve bookmarked the Life section of the Herald, and I’ll be looking for your byline.